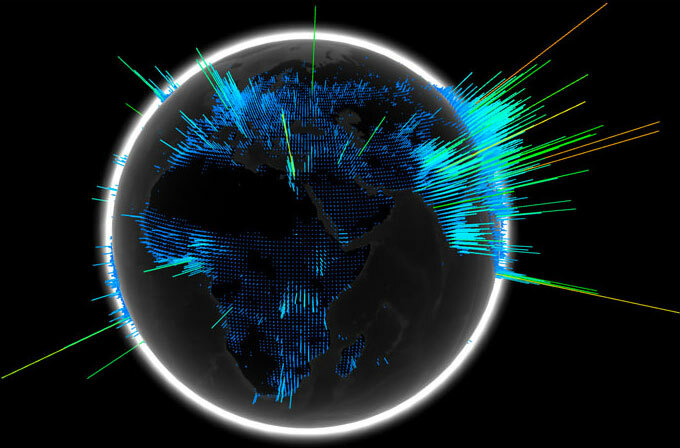 The WebGL Globe is an open platform for geographic data visualization created by the Google Data Arts Team. WebGL Globe is a tool for displaying data on top of a 3D model of the Earth. Google has been a big promoter of the web 3D graphics technology and it’s doing it again with an interesting new project dubbed the WebGL Globe. Google put together a world population globe and a search volume globe to illustrate a couple of use cases. Since it’s an open source project, anyone to copy the code, add your own data, and create your own globes. The project comes from the Google Data Arts Team and is hosted as a Chrome Experiment. The two ways the team chose to illustrate what it can do, the world population and the search volume globes are pretty interesting, but it should be equally interesting to see what others can create using the tool. Click here to see more samples WebGL Chrome Experiment.